What do you do when you haven't visited your blog in six weeks? Photo DUMP! How else would I catch you up on all that we've been doing? 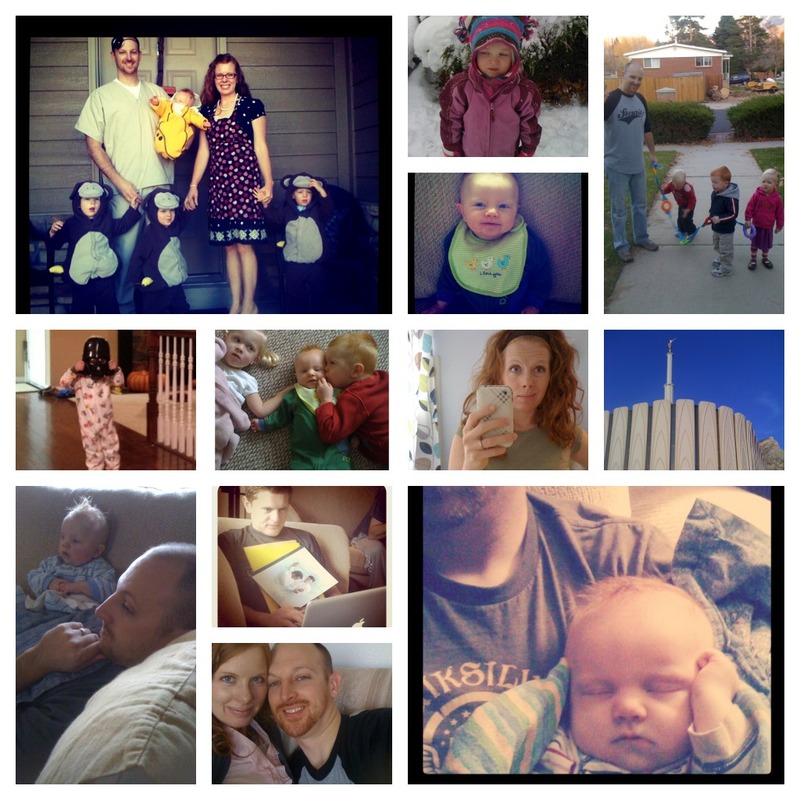 Halloween, two feet of snow, walks with daddy, baby smiles, wondering what the heck is going on with hair on a day to day basis, saying goodbye to my missionary brother, grateful hearts, lots of family time, love, tantrums and naps. Plus some other stuff. Our lives are just as crazy, chaotic and wonderful as you would imagine a house full of 3 toddlers and a 4 month old would be. There! Now you know everything. On to December and everything that comes with it. Cheers all. Hi Kara, I know you don't know me but I found your blog through my sister's, and I was very interested in your posts about hypnobirthing. I saw your preface to what was going to be your actual birth story, and I have been hoping you would post the rest of the story. Just wondering if you still might be thinking about doing that...? @Emily, thanks for stopping by! Yes, I am going to post the rest of the story. It was a crazy experience, so I have been processing and working through the parts (like, all of them) that did not go as planned. In my heart, I was fine, but putting it paper has been something else entirely. Check back, I'll finish it! Thanks, Kara! I will keep checking back for your follow-up!